Just a month after Peter Jackson announced that “The Hobbit” would be turned into a trilogy, Warner Bros. released the name of the flick’s second installment and the release date for the third film Friday. “The Hobbit: The Desolation of Smaug” will be released Dec. 13, 2013; the third installment in the series, “The Hobbit: There and Back Again”, will hit theaters July 18, 2014. Jackson originally planned to only create two films for the Hobbit series, but decided to add a third when he realized he had enough material to do so. The Hobbit trailer debuts with four new seconds of Middle Earth! “The Hobbit: There and Back Again” (the title will remain unchanged) was to have been the second and last Hobbit film before the change was made. 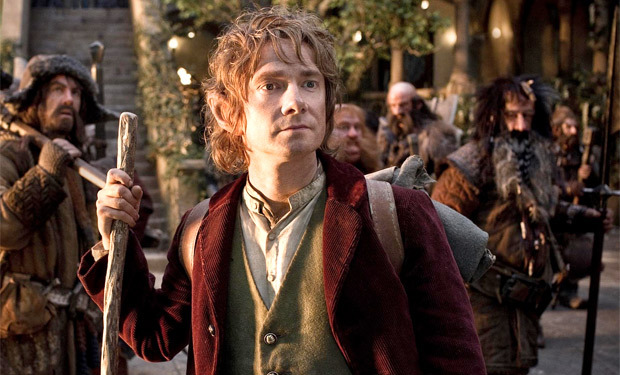 Hobbit fans won’t have to wait too much longer for the first flick of the trilogy. The first film, “The Hobbit: An Unexpected Journey,” opens Dec. 14. « Rosie O’Donnell healing from heart attack, back and at it! Thank you for the shoutout, iAD. It’s good to know you’re loving the news, and that we’re doing our job to bring you the best of Hollywood stories. You guys are amazing. Keep up the good work.